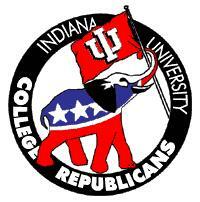 I will be speaking to the IU College Republicans next week. I will be speaking to the Indiana University College Republicans next Monday night at 8 p.m. in the Indiana Memorial Union's Dogwood Room regarding my candidacy for Bloomington Township Board. While I was an undergrad at IU, I served as Membership Director and Publications Director of the IU College Republicans. The CR's have experienced some ups and downs over the years, but the last few elections have seen the CR's be an active and important part of the party apparatus. They serve as an important base for both volunteers and votes. If I expect to win this November 7, (only six weeks from today) I will need student votes. Other contests on the ballot are much more important than my race, so I expect that CR's will put their campaign efforts there. What I will be asking College Republicans to do is put in a good word for me with their friends and classmates. While many students may not think that a township board race is important to them, history demonstrates otherwise. During the anthrax scares following the September 11 terrorist attacks five years ago, it was the Bloomington Township Fire Department's hazmat team that was dispatched to both the Wright and Forest dormitories to deal with a mysterious substance there. while the "mysterious substance" turned out to be a completely harmless mess someone had made in the dorm bathroom and failed to clean up, it is comforting to know that the Bloomington Township Fire Department hazmat team is capable of responding to such incidents. If something real does happen at Indiana University, students can rest assured that the Bloomington Township Fire Department's hazmat team will be there to deal with it. The Bloomington Township Board sets the budget for the Fire Department and the rest of township government, so it is important for the board to have individuals who will make sure the fire department has the tools it needs to protect our lives and property. In the post 9/11 world where the use of agents like anthrax remains a possibility, the BTFD hazmat team is even more important. I believe my experience with the Fire Safety Commission of the Monroe County Taxpayers Association is an important qualification for this office. I personally sifted through volumes of maintenance records and worked closely with members of the commission to advocate for more emphasis on fire protection in the city of Bloomington. It was our efforts in the FSC that led to significant investments in the city Fire Department by the Fernandez administration. I humbly ask Indiana University students for their votes on November 7.